WHERE THE HEART IS: The Colonial Street property is just blocks away from where homeowner Parker Green grew up. “My kids love to walk over to Burbage’s, which I used to do when I was their age,” he says. 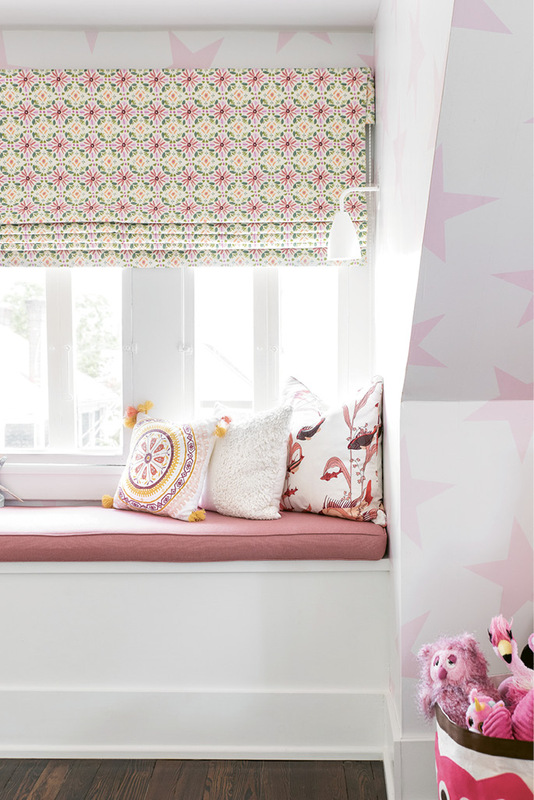 In the vibrant playroom, comfy, kid-friendly furniture—like the Serena & Lily hanging chair and Lee Industries pullout sofa outfitted in performance fabric—mix with playful décor, including a vintage textile interior designer Melissa Lenox found in Jodhpur, India, and Lulie Wallace’s “Meyers” wallpaper. 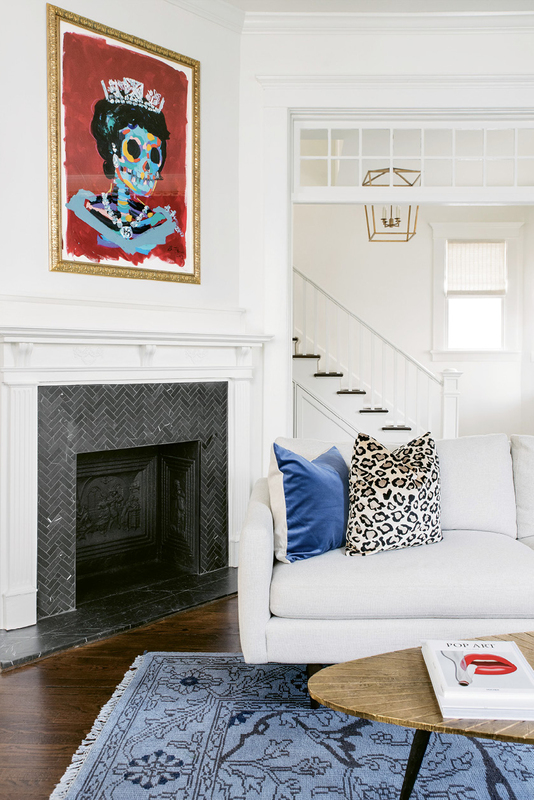 Stroll through Alison and Parker Green’s 1918 South of Broad home and you’ll spot insects on the wall and a skull above the living room mantel. But this is no cobweb-filled vacant manse. Quite the opposite, actually. The bugs aren’t real. Sporting bright orange, purple, and seafoam green coats, the darling critters adorn Lulie Wallace’s “Meyers” wallpaper and hang in the family’s light-filled (and toy-stocked) playroom. And the skull? She’s an original by contemporary artist Bradley Theodore, who’s known for painting bright-hued skeleton portraits of global icons (the Greens’ is a rendition of Queen Elizabeth). These are but two of the many quirky, colorful details that fill the three-story Colonial Street foursquare, which radiates a palpable sense of joy, youthfulness, and fun (not to mention modish style in spades). “I like things to be a little edgy—a little interesting,” says Alison, a friendly, fast-chatting Oklahoma transplant. 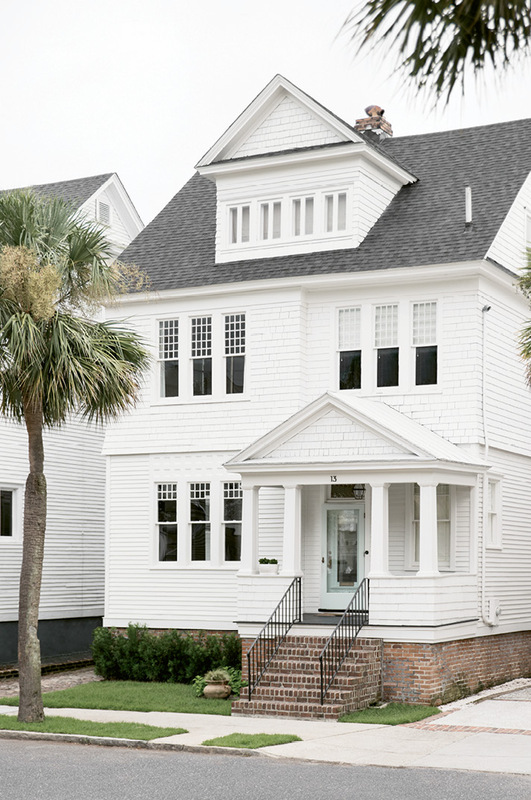 She moved to the Holy City in 2008 to attend the now-shuttered Art Institute of Charleston and to be close to then-boyfriend Parker, a Charleston native. “I call it our ‘not-so-average South of Broad home’,” she says. 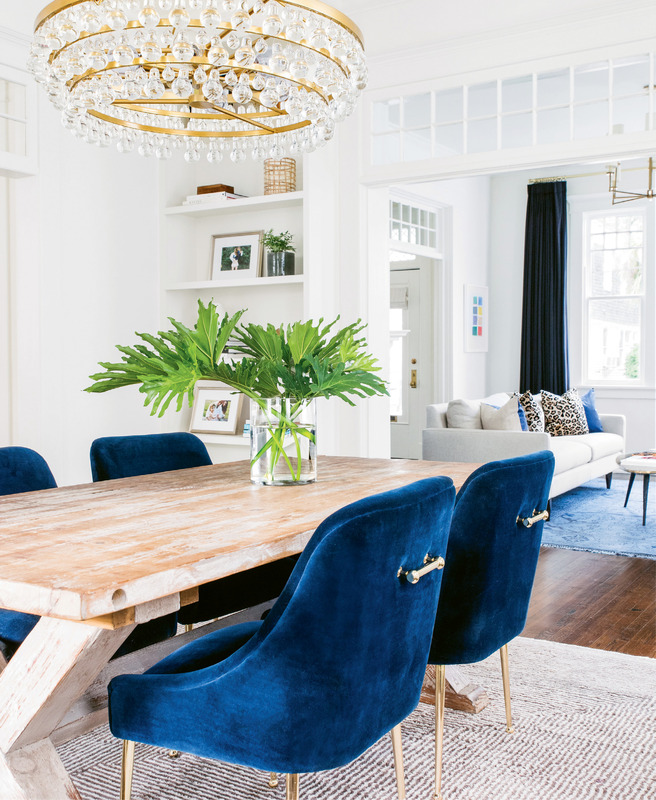 It’s an apt description: In lieu of formal antiques, a vibrant mix of kid- and pup-friendly mid-century modern and Hollywood Regency-style furnishings fill the space, popping against crisp white walls. 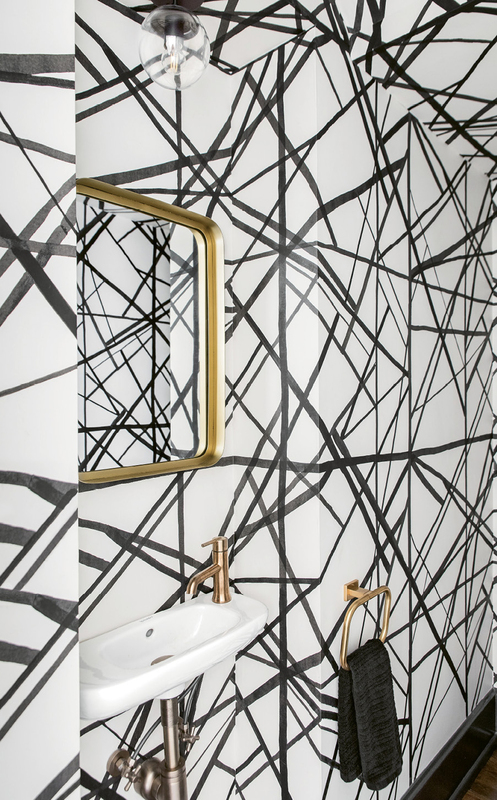 Well, not all are white: a graphicKelly Wearstler paper fills the powder room with drama, horses gallop across three-year-old son Finn’s walls, and pink stars shine bright in five-year-old daughter Honor’s room. While the home fits the family’s style and lifestyle to a T today—note its sizeable playroom, relaxing master suite, breezy first floor, and cabinet-packed kitchen—it wasn’t always so. 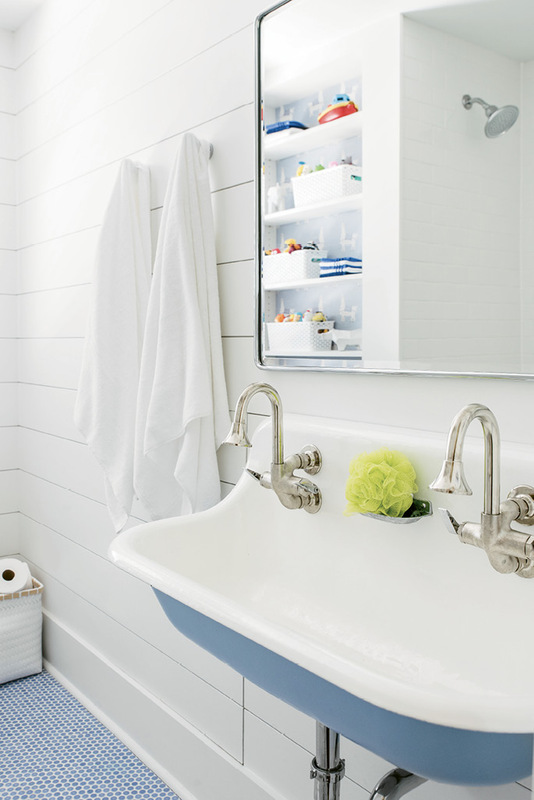 In fact, when they first toured the property in 2016, it ticked almost no items off their house-hunting “must list,” which included a designated laundry room, a stand-alone tub in the master bath, and loads of storage. Yet as they climbed the sturdy staircase, swung open the solid glass-paneled wooden door, and stepped into the century-old home, the couple was struck by something they hadn’t yet realized they craved in a property: The house, they felt, had soul. 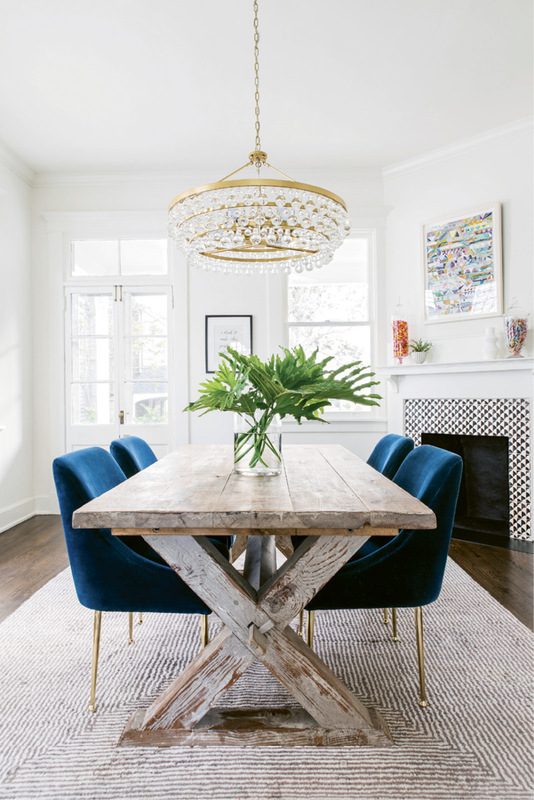 Enter designer Melissa Lenox, whose work Alison admired after spotting a sign of hers in Longborough, the neighborhood north of Hampton Park where they previously lived. The pair asked her to weigh in on whether the historic property could be tweaked to suit their 21st-century wants and wishes. 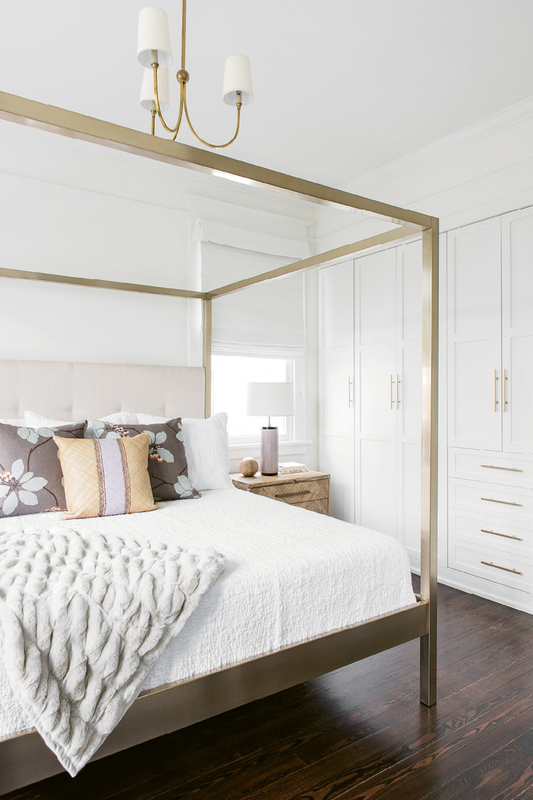 “I definitely saw the potential but knew it would need some reconfiguring in order to function for their family,” says Melissa, who has a background in both architectural and interior design. 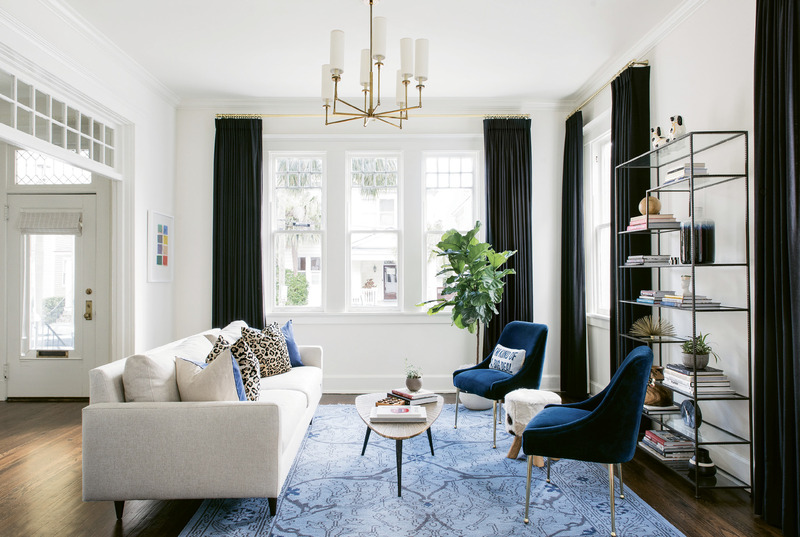 After she assured the couple that, with a substantial remodel, the four-bedroom, three-and-a-half-bath space could offer all they hoped, Alison and Parker purchased the fixer-upper. 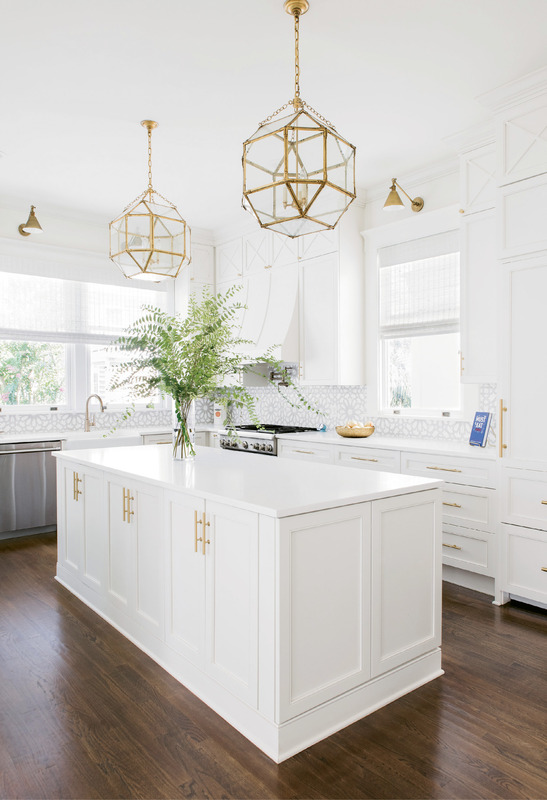 And so began a 14-month renovation, during which Melissa worked alongside architect Julia Martin and Chris Carroll of Carroll Contracting to turn the antiquated property into a fresh—and highly functional—home for the youthful family of four. The team relocated doorways, removed walls, and repaired the bones of the house, all while preserving almost all of the original fireplaces, windows, and flooring. “One thing was for certain,” Melissa says of the project. “We had to find the light.” It’s hard to believe now, but natural light was once scant in the house due to heavy drapes and a walled-off first floor. But after window treatments came down, a wall in the kitchen was nixed, and an asbestos-filled utility room on the back porch was (safely) removed, light literally poured through the space. Hands down, agree all, the trickiest item to deliver was the soaking tub in the master suite. “We literally had no space,” explains Melissa. 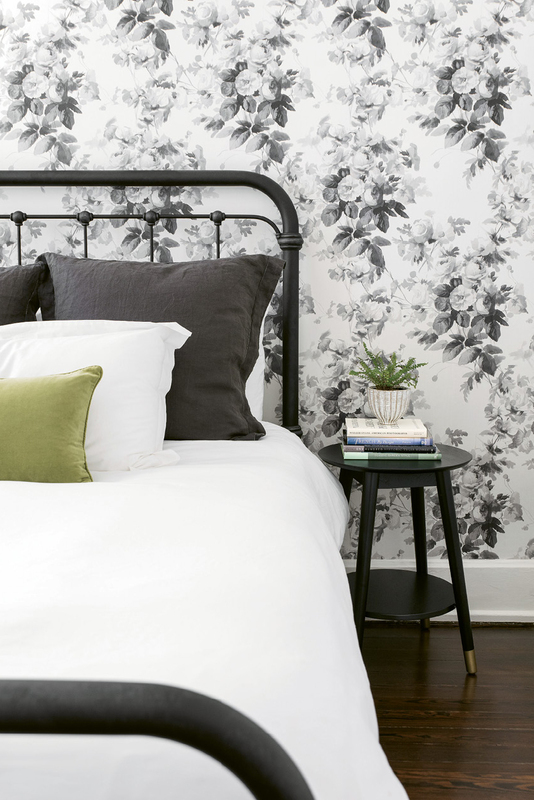 Parker, an attorney, let the ladies take the reins throughout most of the home’s design. 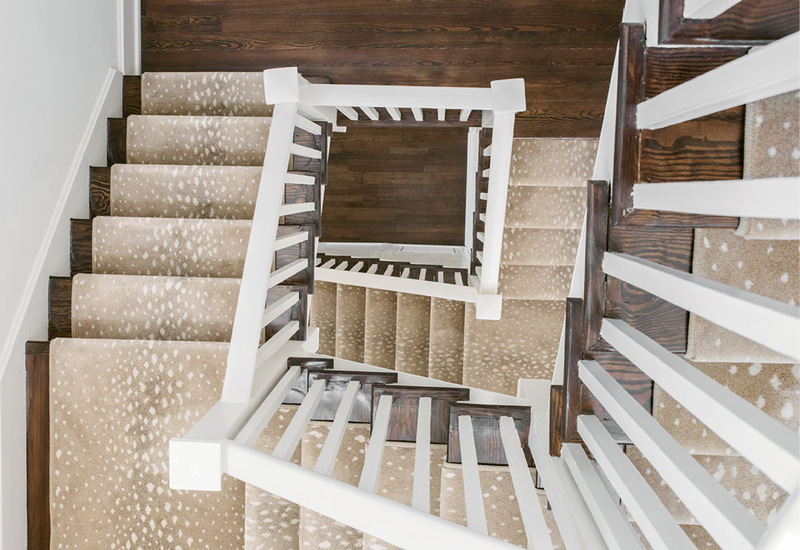 (“All I did was pump the breaks,” he says—to which Alison counters, “Did you though?” and points to the animal-print runner on the stairs with a laugh.) But he was resolute when it came to his wish for a tub. The solution? “I suggested a ‘wet room’ concept, which I had seen while traveling,” says Melissa of the vast walk-in shower that houses a stand-alone tub, too. Parker’s verdict? “I love it,” he says. 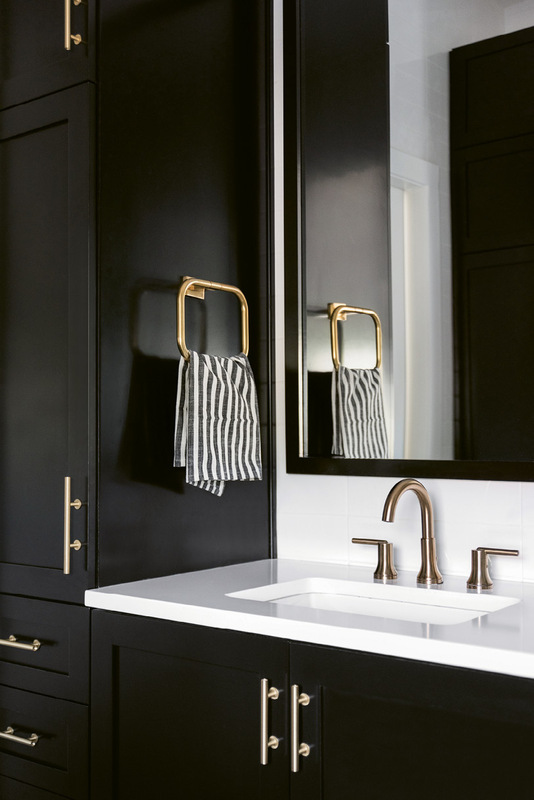 With its gleaming white-tiled walls, moody black cabinets, and brass finishings, the room is indeed spa-worthy. And on the first floor, the kitchen—where Alison whips up weekend brunches before group bike rides around Colonial Lake—would make any chef smile. Out back, a joggling board and grassy fenced-in yard (which pups Annabelle and Elliott take full advantage of), are especially sweet come spring. Even so, the heart of the home, say the parents, is the playroom, where on weekend evenings the family can be found hunkered down and snuggled up on the pull-out sofa, munching on popcorn and watching movies together. And all around them, those jolly bugs march on.